Rebecca is a qualified social worker with over twenty five years experience as a practitioner and manager in child protection. Since starting her private practice in 2007, Rebecca has trained extensively in the field of child and adult attachment. 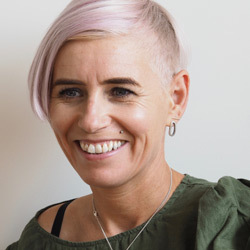 She has been trained in all the DMM methods of assessing attachment, teaches at the University of Roehampton and is a trainer for the Infant CARE-Index (ICI), School-age Assessment of Attachment (SAA) and Adult Attachment Interview (AAI). She also provides training on other subjects to social care and health audiences and is undertaking research on the Toddler CARE-Index (TCI).